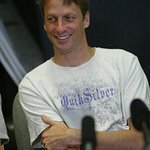 Tony Hawk and Jason Lee invite you to the 9th Annual Tony Hawk’s Pro Skater HD Stand Up For Skateparks benefit. This exclusive action-sports charity event returns to the Beverly Hills landmark Green Acres Estate on Sunday, October 7, 2012. Tony Hawk’s Pro Skater HD Presents Stand Up For Skateparks is a family-centric action-sports carnival that includes games, activities, food, giveaways, a live musical performance by an A-list band, and a Vert demo with Tony and a who’s-who of the skate and BMX worlds on Tony’s personal ramp. Among this year’s expected guests are Andre Agassi, Ron Burkle, Chantal and Stephen J. Cloobeck, Jamie Lee Curtis, Patrick Dempsey, Jon Favreau, Etty and Perry Farrell, Leeza Gibbons, Robin and Danny Greenspun, Ben Harper, Mat Hoffman, Bobby Kotick, Chuck Liddell, Howie Mandel, Sal Masekela, Lance Mountain, Christian Slater, Mark Wahlberg, Lori and Bill Walton, and Shaun White. Stand Up For Skateparks sells out every year—don’t miss your opportunity to share this terrific day with your family and friends, and to help support the Tony Hawk Foundation's work to bring free public skateparks to at-risk youth across America! Past attendees include: Andre Agassi, Jamie Lee Curtis, Mia Hamm, Brian Austin Green, Mark Wahlberg, Kat Von D, Sean "Diddy" Combs, Jon Favreau, Patrick Dempsey, Howie Mandel, Bill Walton, Ben Harper, Russell Simmons, Leeza Gibbons, David Blaine, Arsenio Hall, Erik Estrada, Tommy Lee, David Spade, Shaun White, Rancid, Benicio del Toro, Sal Masekela, Kathy Ireland, Holly Madison, Chuck Liddell, Lisa Kudrow, Trent Reznor, Blink 182, Pamela Anderson, Pennywise, Perry Farrell, Johnny Knoxville, Bam Margera, Ed Helms, and more.